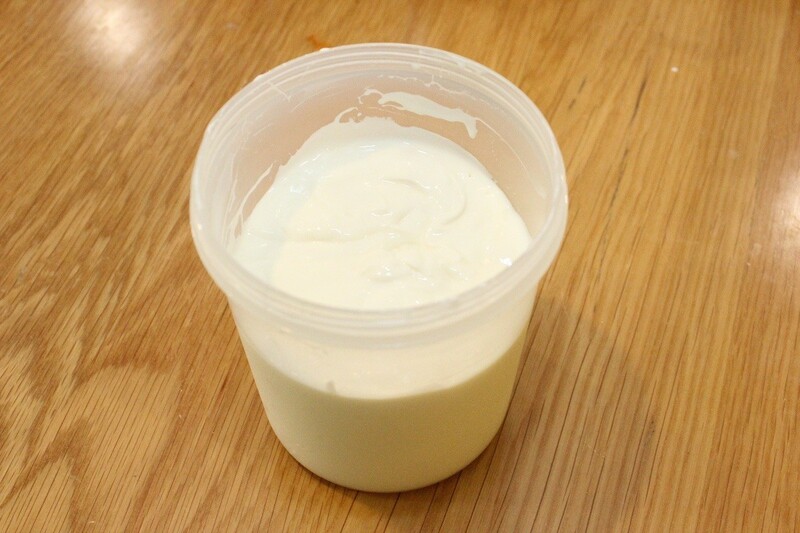 Greek style yogurt is strained to create the thick and creamy texture. 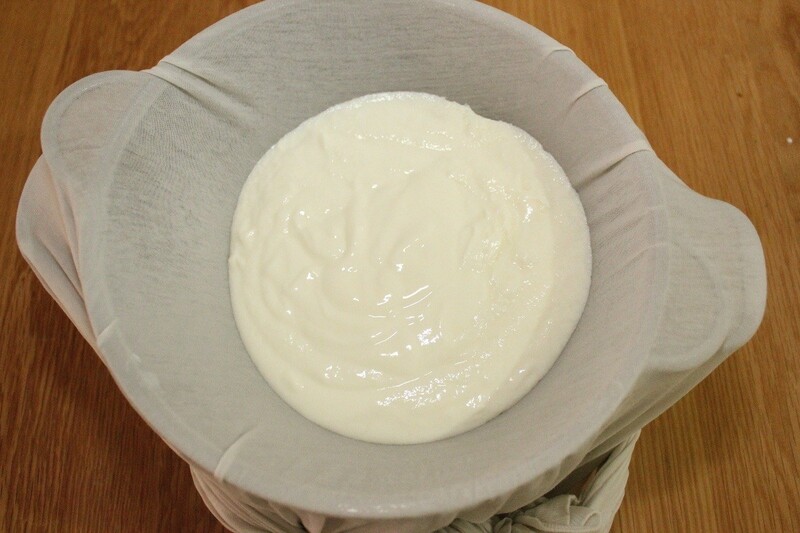 You can make it at home with cheese cloth to strain the finished yogurt. 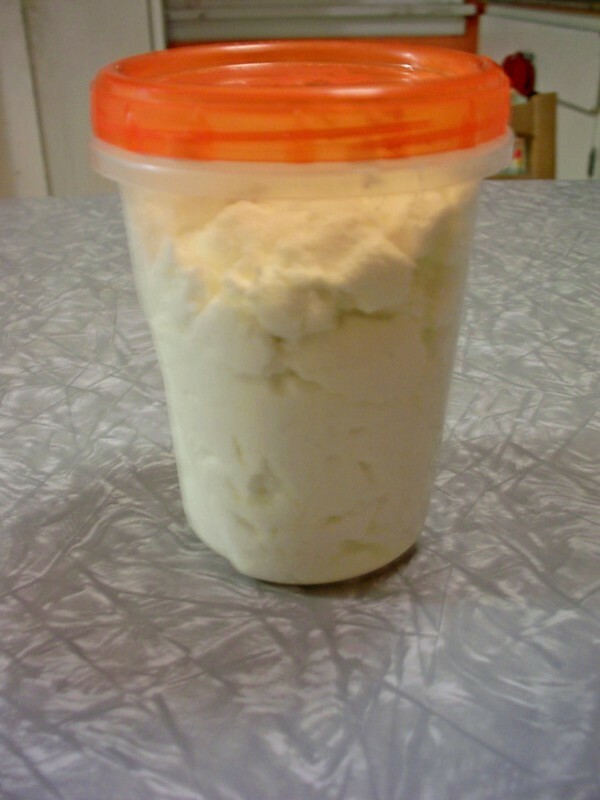 This is a guide about homemade Greek yogurt. 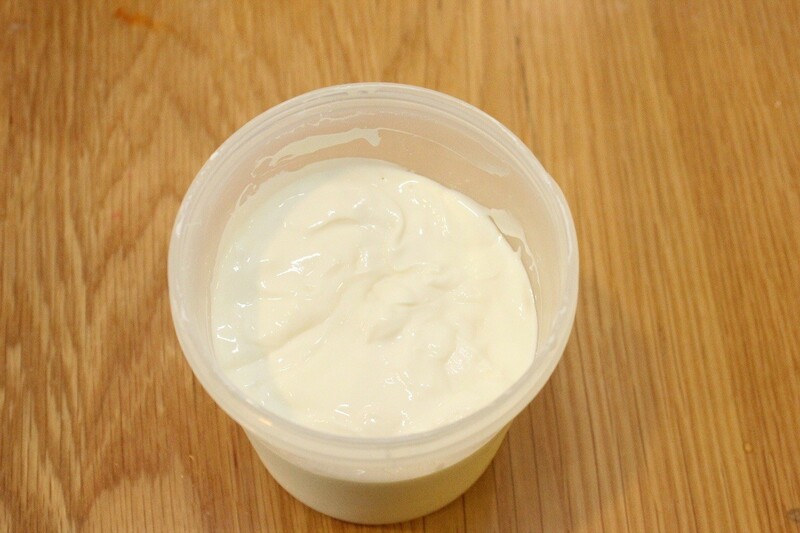 Greek yogurt is a delicious, healthy treat and is so easy to make. 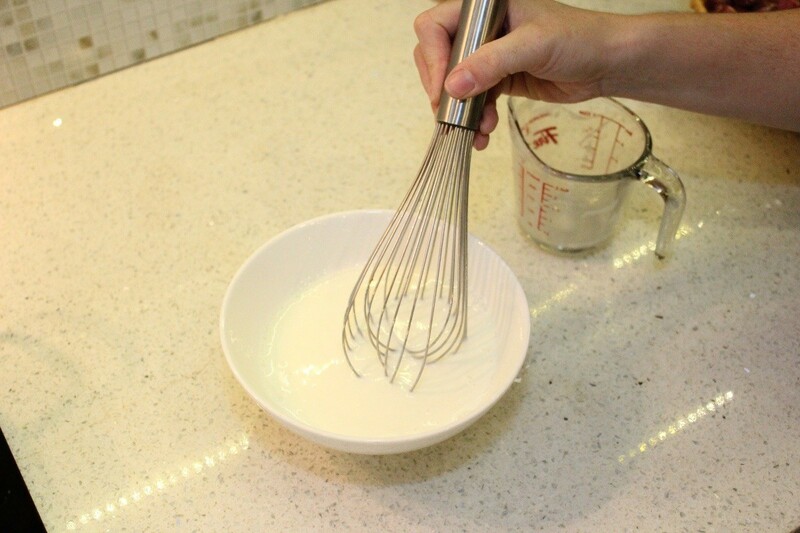 You really don't need any special appliances to make it. 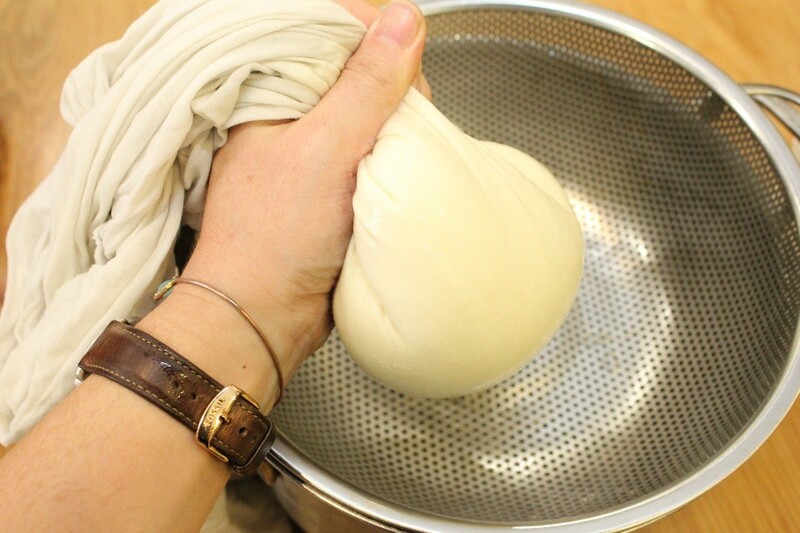 All you need is a pan, whisk, thermometer, strainer and some cheesecloth. I am living in Vietnam, where dairy products like cheese and yogurt are still specialty foods and come with a hefty price tag. I saw a pint of greek yogurt at the supermarket for more than $10. So I decided to make it myself and was pleasantly surprised at how simple it was and how delicious it turned out. 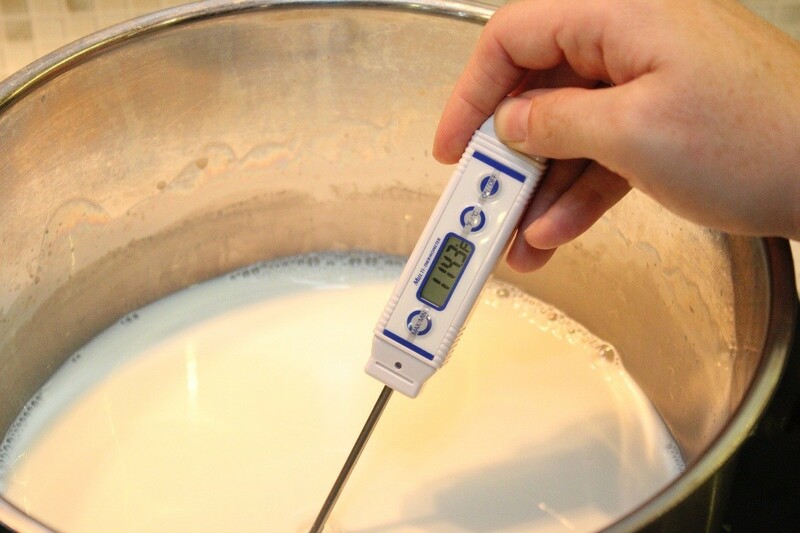 Heat 1 quart of whole milk to 180 degrees F. Stirring occasionally. 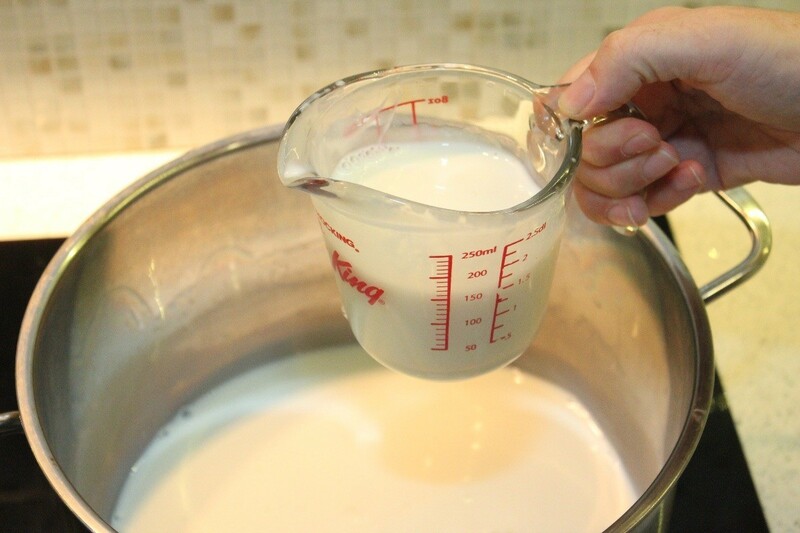 Let milk cool to 110-115 degrees F. Then take out 1/2 cup of milk and stir it in with your 1/4 cup of plain yogurt. 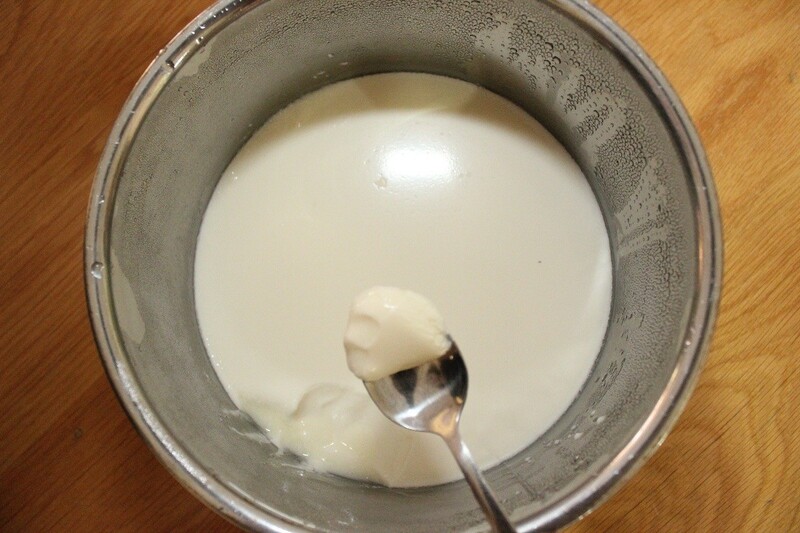 Then pour the yogurt/milk mixture back into the heated milk and stir. 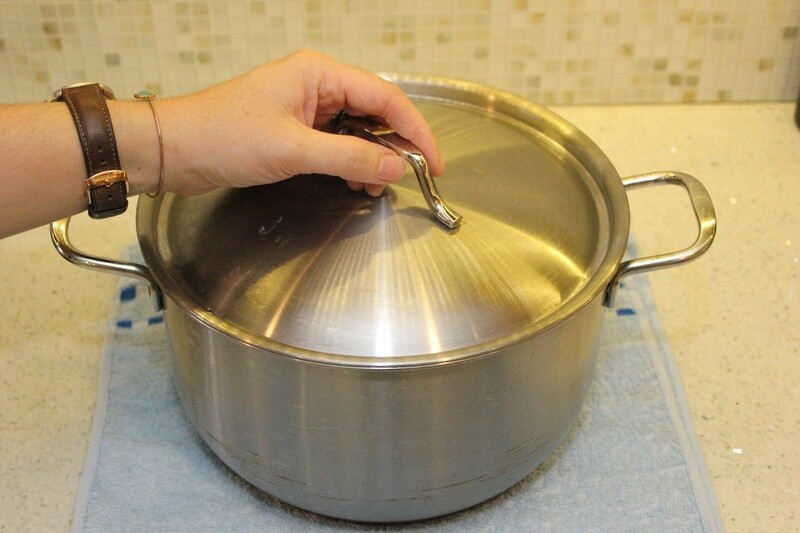 Put the lid on your pot and wrap it with towels and keep it in a warm place. Your oven with the light on, your microwave or on top of your fridge are good options. Let it sit undisturbed for at least 4 hours. You can check the flavor at 4 hours. I liked the way mine tasted after 10 hours. The longer it sits the thicker and more tangy it be becomes. 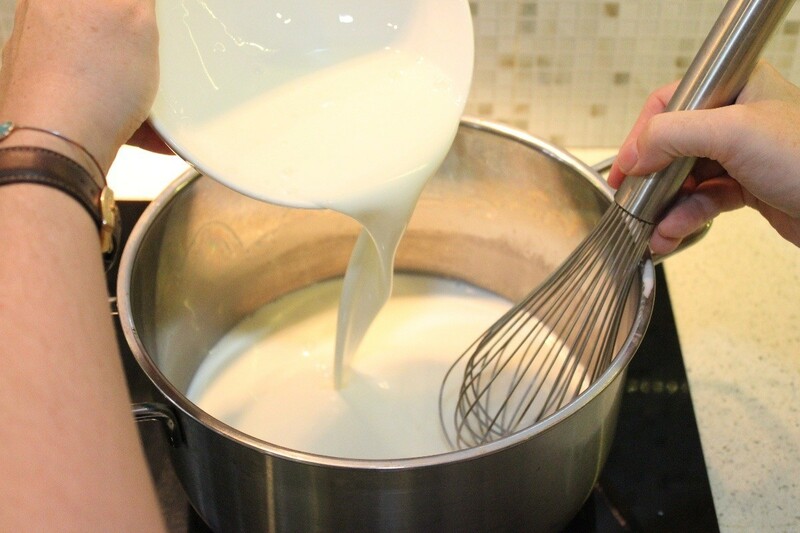 Once you have got the flavor you like, you will want to strain it to make greek yogurt. Get a strainer and place it over a bowel making sure that there is enough space below that the drained liquid will not touch the strainer. 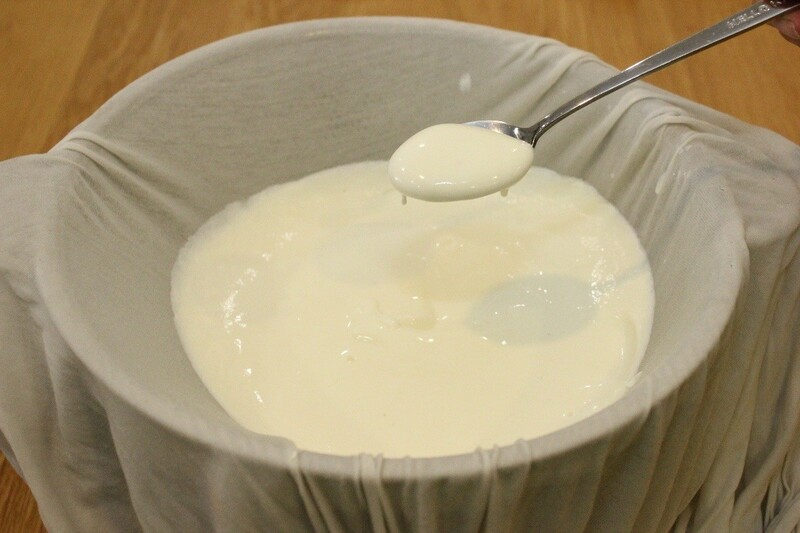 Take a piece of cheesecloth and fold it over a few times (or use a plain white cotton t-shirt) and lay it inside the strainer. 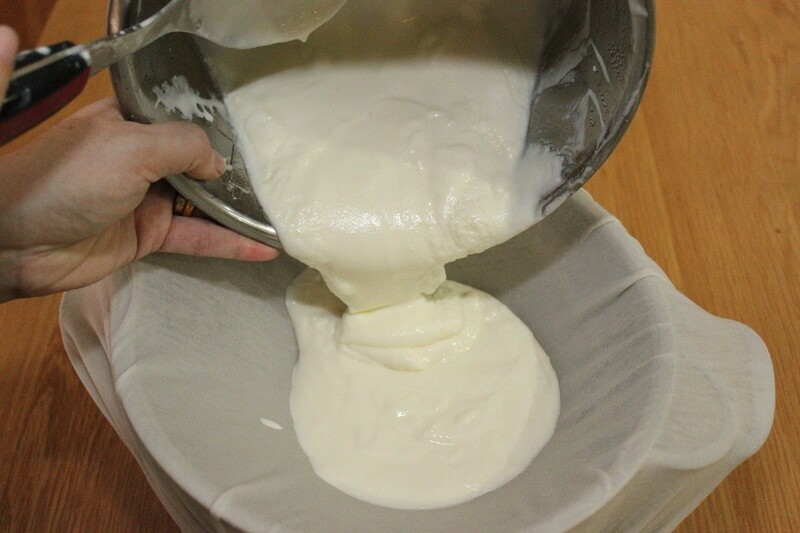 Then, pour your yogurt inside. 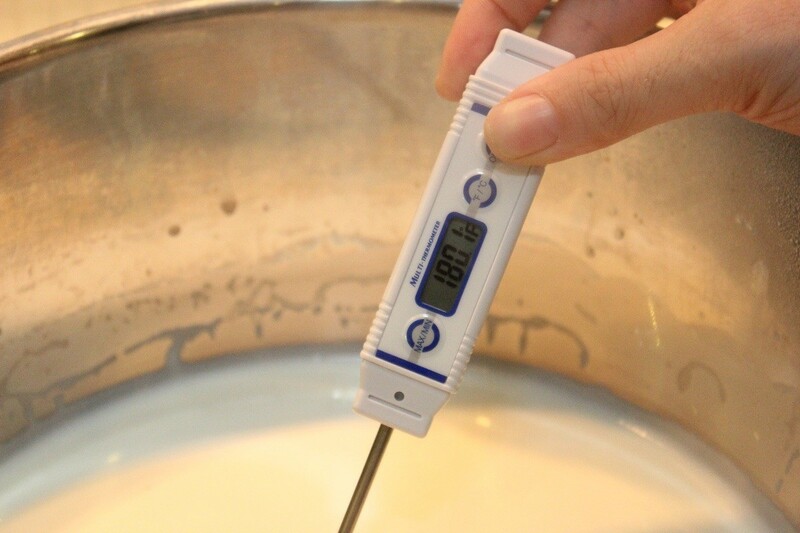 Let it strain in the fridge anywhere from a 1/2 hour to overnight, depending on how thick you like it. I left mine in for about 2 hours. 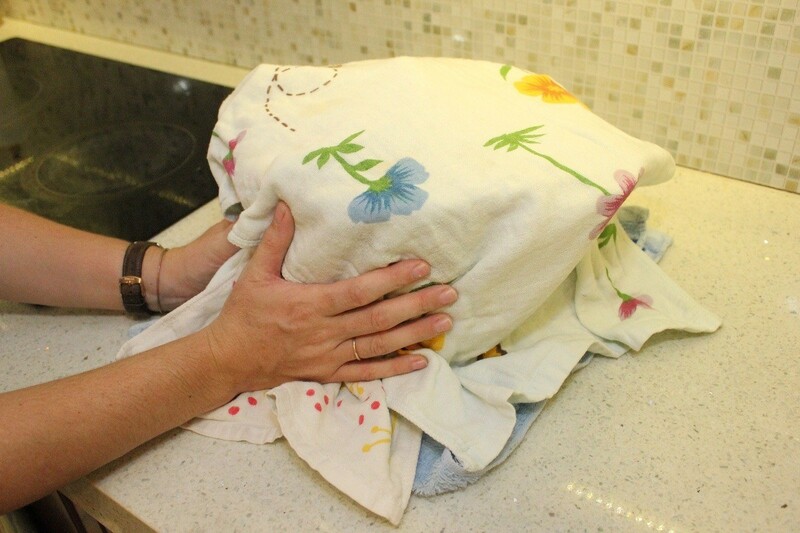 You may want to squeeze out any extra liquid, by gathering the fabric and twisting it. 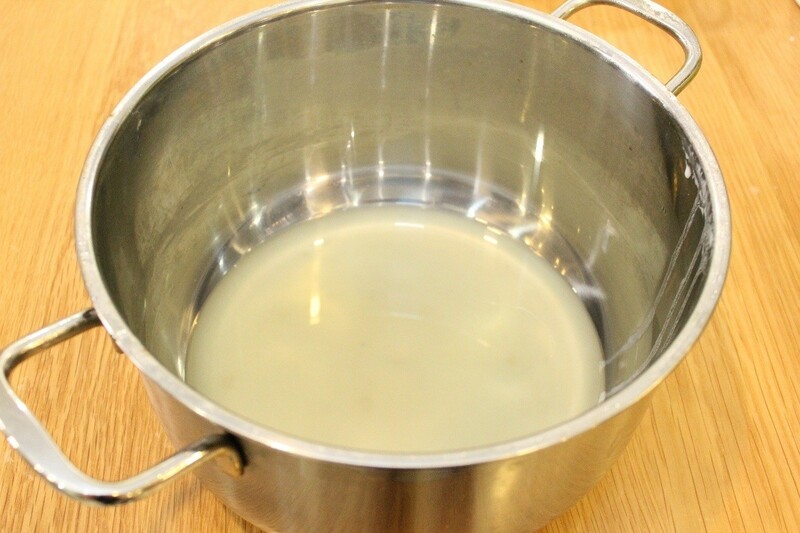 The liquid left over is the whey and it can be used to bake bread or even added into smoothies. I have also been told that pets love it. 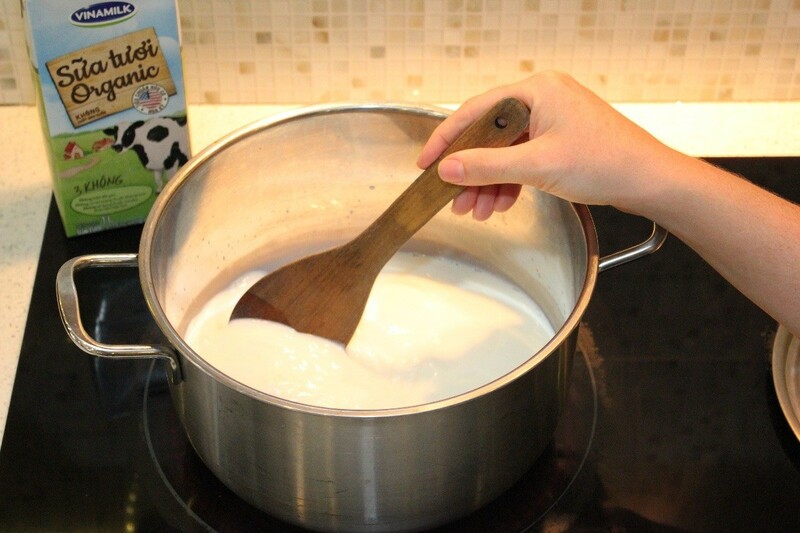 Use a rubber spatula to scrape the yogurt from the cloth into a container. Eat as is or add jam, agave syrup, honey or fresh fruit. Enjoy. Thanks! I was really happy with how it turned out. 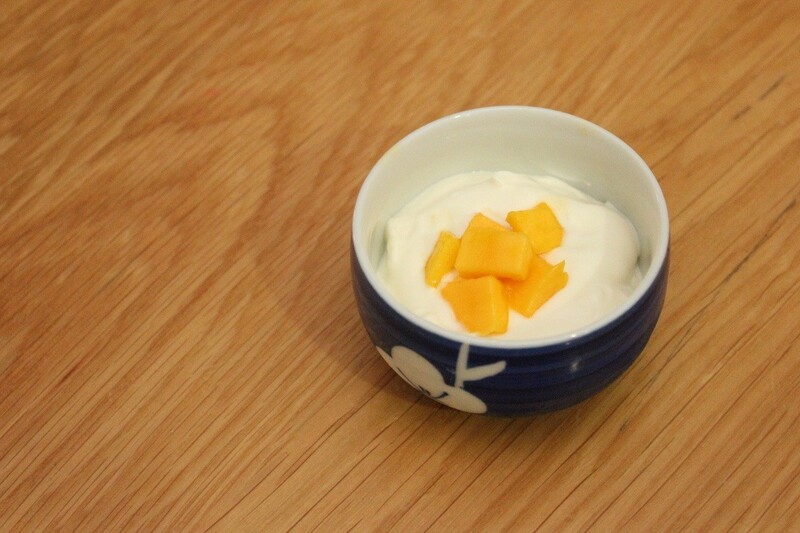 Greek yogurt is not only delicious, it is also full of healthy benefits. 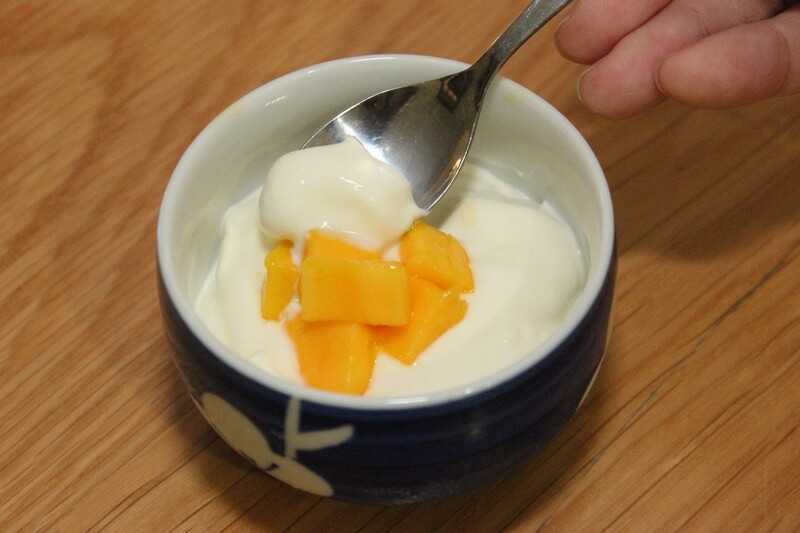 Lower in calories and sugars than traditional sweetened store yogurts and higher in protein, it is a wonderful choice for dieters and non-dieters alike. 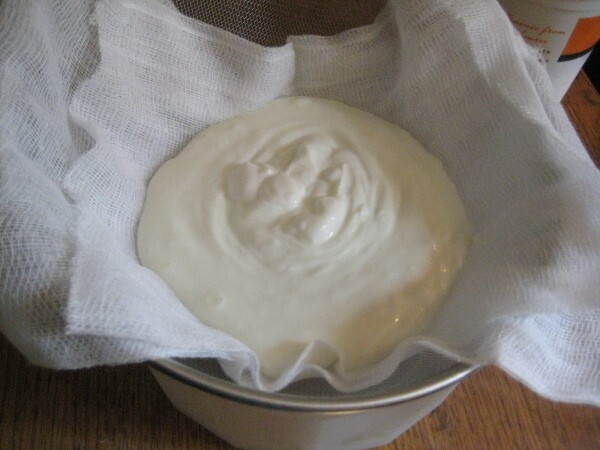 Greek yogurt is easy to make, all you need is some cheesecloth and a sieve. 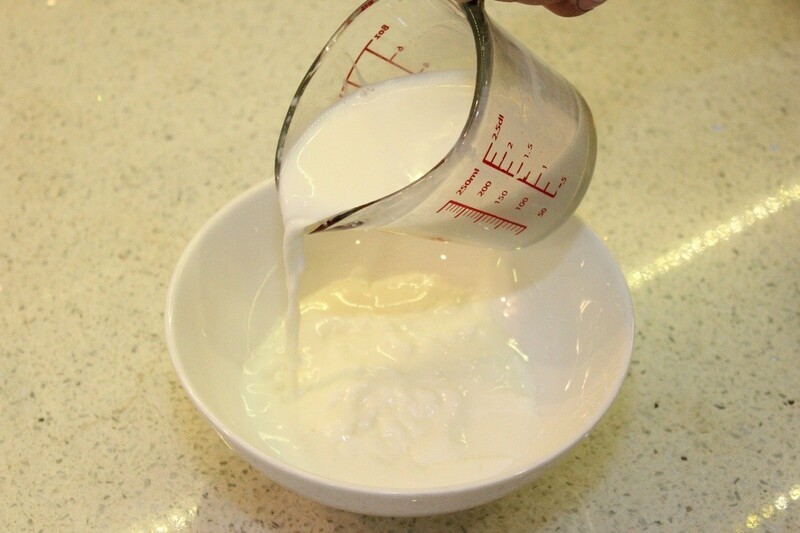 This is a guide about easiest homemade greek yogurt.